We have $6 gram specials, and a $99 ounce deal every day at CannaCo! WE TYPICALLY CARRY 30 STRAINS OF TOP SHELF BUD! Check out other specials: EARLY BIRD SPECIAL 8:00 AM-10:00 AM Daily ANY STRAIN WE CARRY First gram $ 10.00, one per customer. 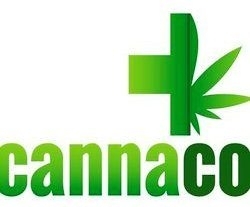 *****420 HAPPY HOUR***** 4:20 PM-5:20 PM ANY STRAIN First gram $10.00. One per customer. Please tell our staff you "found it at WeedSearch.com". This deal does not have to be redeemed on Facebook. There is a limit of 1 deal per person per visit. Thank you for your purchase at CannaCo!